Despite not being a festival goer (I just don’t fancy the mud & camping! 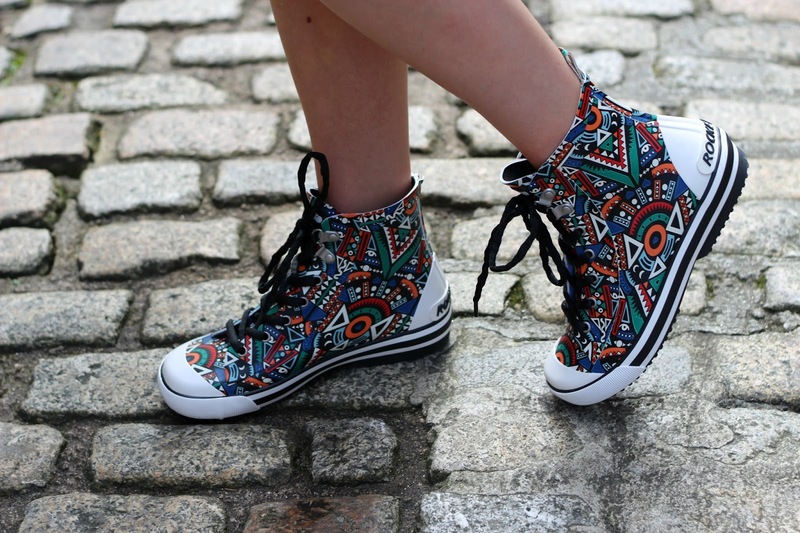 ), I am a huge lover of festival fashion. You’ll still find me miles from a festival with a floral crowd on my head whilst wearing something fringed. One thing that festivals do have in common with daily life is the unexpected weather, you can almost put your life on it that it’s either going to rain every day straight or there will be scorching sunshine for the length of the festival, there never seems to be a middle ground! 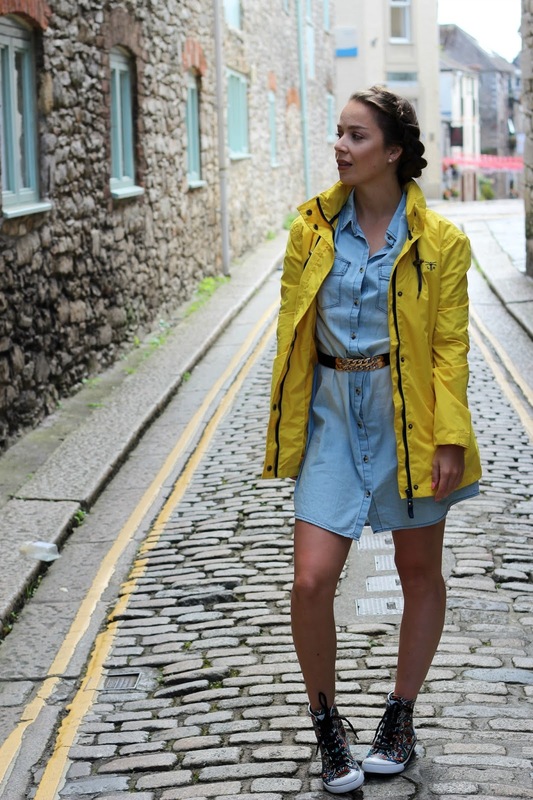 So going to a festival well prepared for all weathers is your best bet, and one thing you’ll definitely need to pack is a waterproof, yet stylish rain coat. 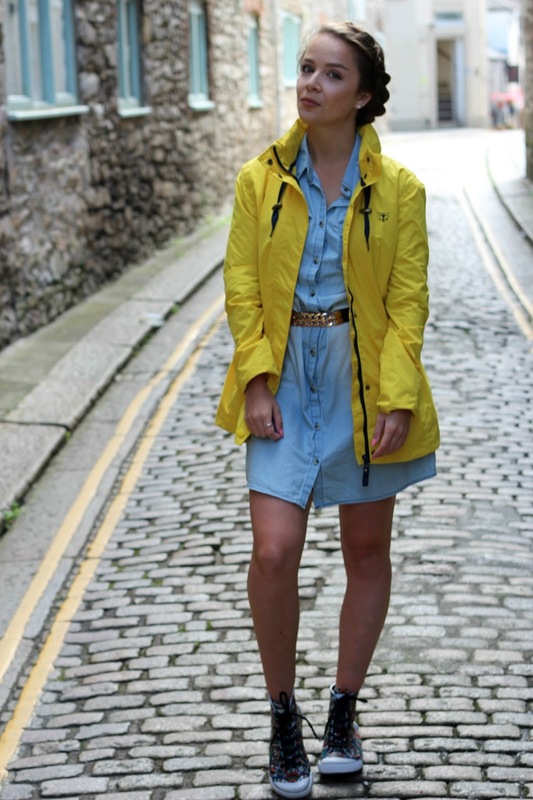 There is a real gap in the market for stylish raincoats that are actually long lasting and don’t resemble the thickness of a plastic bag. 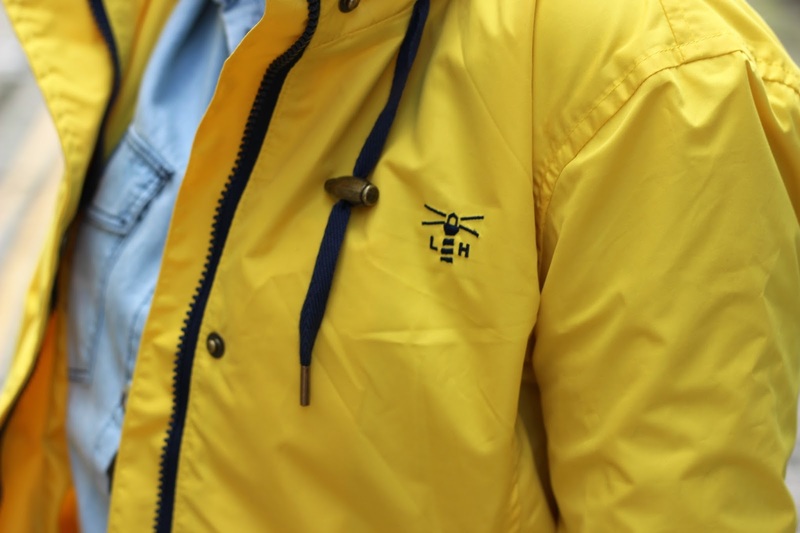 With festivals and the fashionista in mind, Lighthouse have put together a collection of practical, bright coloured, fully waterproof and stylish raincoats, which is where this canary yellow Beachcomber rain coat comes into play! 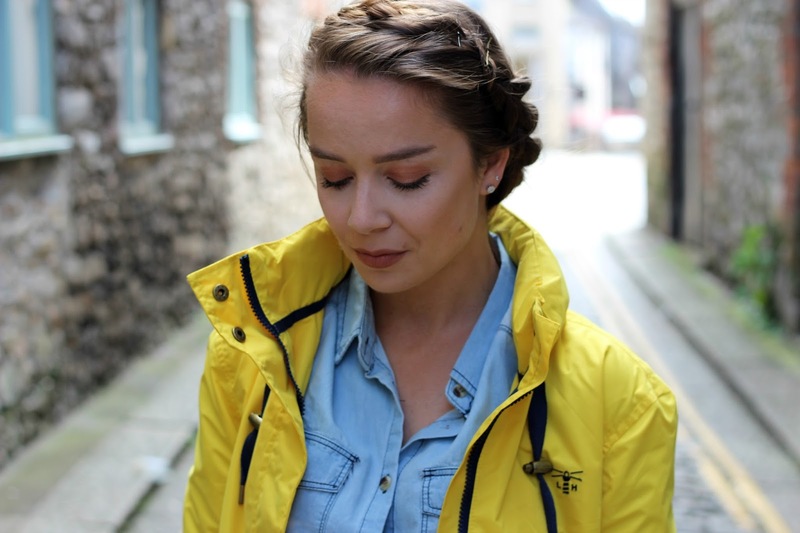 I’ve always wanted to own a bright yellow raincoat, it reminds me of my childhood and makes me feel like a fisherman, but it’s just perfect for British weather, and it makes the whole outfit pop. 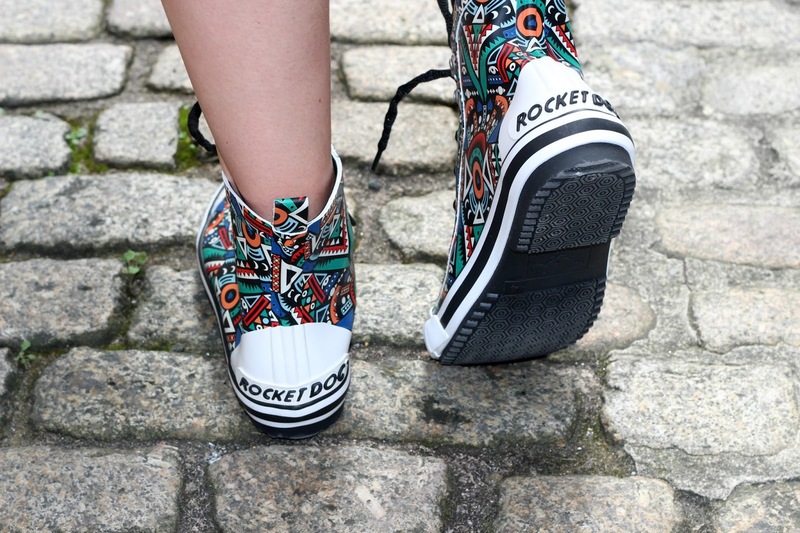 I paired it with a plain denim shirt dress and these super cool Aztec style boots, come wellies from Rocket Dog. These welly boots will be available very soon, exclusively to Schuh, so make sure you keep an eye out on their new in section! 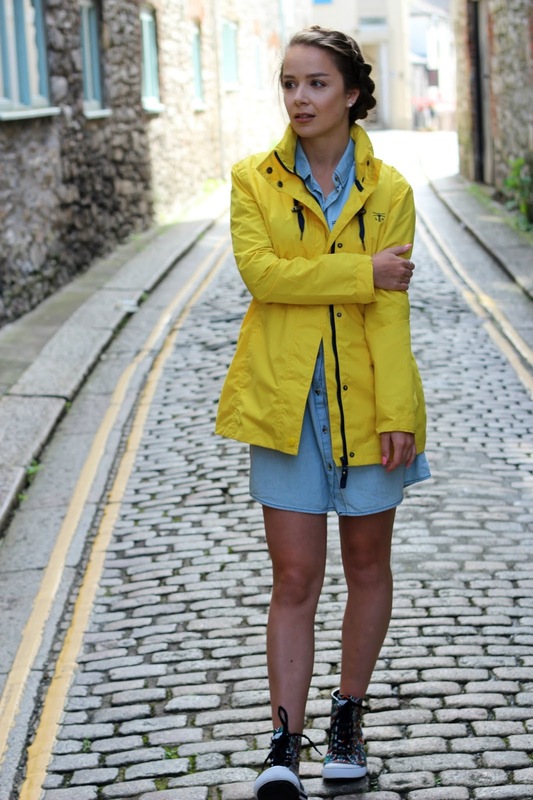 I’ve never really seen a pair of boots like this before, they would definitely keep your feet dry and warm from the muddiness that awaits, and teamed with a lighthouse rain coat they’ll help you get festival ready in no time! What do you think of this outfit? 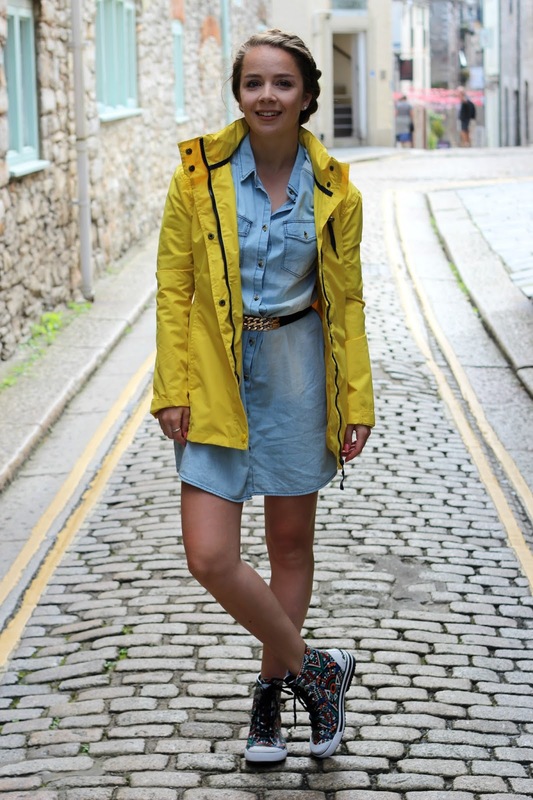 Do you struggle to find a stylish raincoat? What would you wear to a festival?